Spring is finally here, and with it comes balmy breezes … and bugs. Before you throw open the windows, make sure your open windows let the fresh air in — and keep the creepy-crawlies out! — by installing a tight-fitting screen on every window. If you removed and stored window screens for the winter, clean them before reinstalling by hosing them down with a garden hose and letting them dry. 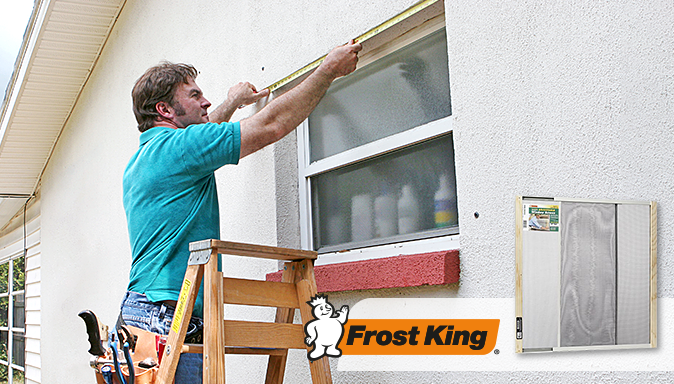 Carefully examine each screen to make sure they are taut and free of holes, and repair any holes or rips with Frost King Self-Attaching Aluminum Screen Patches, which make window screen repair an easy DIY project. If you don’t have screens or they are too damaged to use, Frost King’s W.B. Marvin Adjustable Window Screens are an affordable option. These high-quality screens come in a variety of widths and heights, and are made with easy-gliding steel rails that make them easy to adjust for a tight, secure fit—so all you have to do is position them in place and enjoy the fresh air!